Enjoy the best inspirational, motivational, positive, funny and famous quotes by Adolf Ivar Arwidsson. Use words and picture quotations to push forward and inspire you keep going in life! 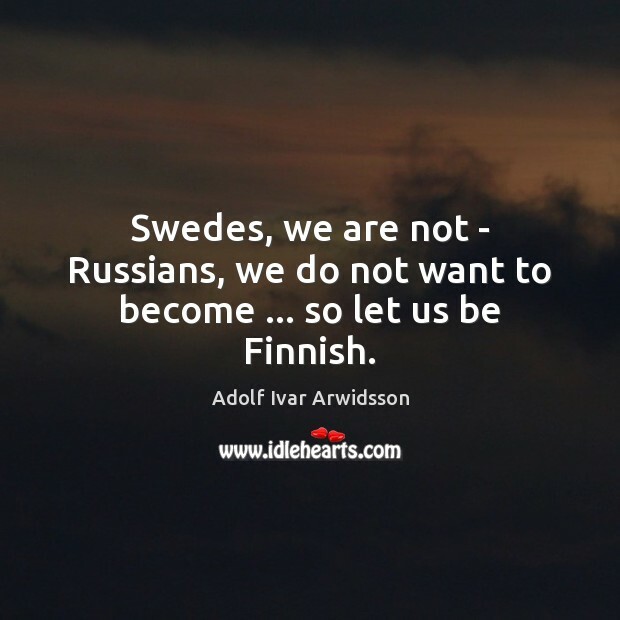 Swedes, we are not - Russians, we do not want to become ... so let us be Finnish.